Using a wafer consisting of tungsten encapsulated by silicon nitride, scientists have developed a disk that can store data for a million years or more. Mankind has been storing information for thousands of years. From carvings on marble to today’s magnetic data storage. Although the amount of data that can be stored has increased immensely during the past few decades, it is still difficult to actually store data for a long period. The key to successful information storage is to ensure that the information does not get lost. If we want to store information that will exist longer than mankind itself, then different requirements apply than those for a medium for daily information storage. Researcher Jeroen de Vries from the University of Twente MESA+ Institute for Nanotechnology demonstrates that it is possible to store data for extremely long periods. He will be awarded his doctorate on 17 October. Current hard disk drives have the ability to store vast amounts of data but last roughly ten years at room temperature, because their magnetic energy barrier is low so that the information is lost after a period of time. CDs, DVDs, paper, tape, clay and tablets and stone also have a limited life. Alternatives will have to be sought if information is to be retained longer. It is possible to conceive of a number of scenarios why we wish to store information for a long time. “One scenario is that a disaster has devastated the earth and society must rebuild the world. Another scenario could be that we create a kind of legacy for future intelligent life that evolves on Earth or comes from other worlds. You must then think about archival storage of between one million and one billion years,” according to researcher De Vries. 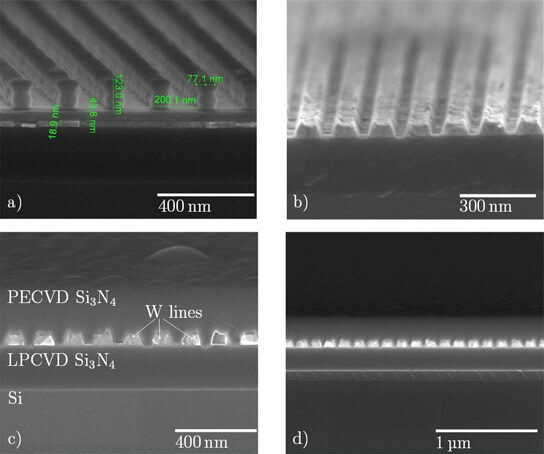 De Vries has developed an optical information carrier that can store information for extremely long periods of time, with each bit being written using etching techniques. 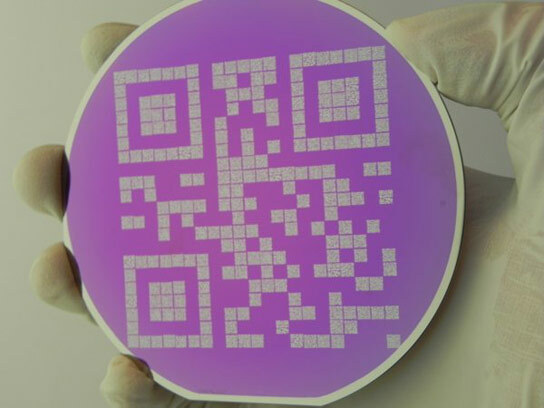 The chosen information carrier is a wafer consisting of tungsten encapsulated by silicon nitride. Tungsten was chosen because it can withstand extreme temperatures. A QR code is etched into the tungsten (see picture) and is protected by the nitride. Each pixel of the large QR code contains a smaller QR code that in turn stores different information. “In principle, we can store everything on the disc that we believe is worthwhile saving: for example, a digital image of the Mona Lisa. In this study we tested a digital copy of the chapter about this medium from my thesis,” says De Vries. a) Scanning electron micrograph of the test sample before etching. b) Scanning electron micrograph of the test sample after etching containing W lines. c) Scanning electron micrograph of the cross-section of the encapsulated lines in the test sample d) Scanning electron micrograph of the sample after 1 hour at 473K. Jeroen de Vries, et al. Jeroen de Vries was born on 5 January 1982 in Stede Broec. In 2000, he moved to Enschede to study Electrical Engineering. From December 2007 to April 2008 he stayed in Akita, Japan with the group of Professor Hitoshi Saito at Akita University in order to study the theoretical sensitivity of cantilever tip shapes. He followed this with a study of the optical readout of a cantilever array at the Systems and Materials for Information storage (SMI) group. He graduated in 2009 and then started as a PhD student with the Transducers Science and Technology (TST) group. During his doctoral studies, he participated in the IEEE summer school on magnetism in Dresden, Germany and the ESONN summer school on nanotechnology in Grenoble, France. Images: University of Twente; Jeroen de Vries et al. 3 Comments on "Researchers Develop Million-Year Data Storage Disk"
What is the storage capacity at present? Now to invent a culture that will last a million years so we will have someone around to read the data. Tungsten is already known to resist very high temperature in the incandescent bulbs and hence its use can very well be used to cover the silicon-nitrate storage device to withstand very high temperatures.Thank You.